Usually when I tell people that I'm interested in going history adventuring IRL (In Real Life) they imagine that I want to go to a museum, or stand and listen to a tour guide. I don't. When I get out there, I want to see stuff. I don't want to see pictures of stuff, or artificial displays of stuff, or people talking about stuff. I love seeing that stuff on the internet all of the time. But real life is different, and very precious, for me. 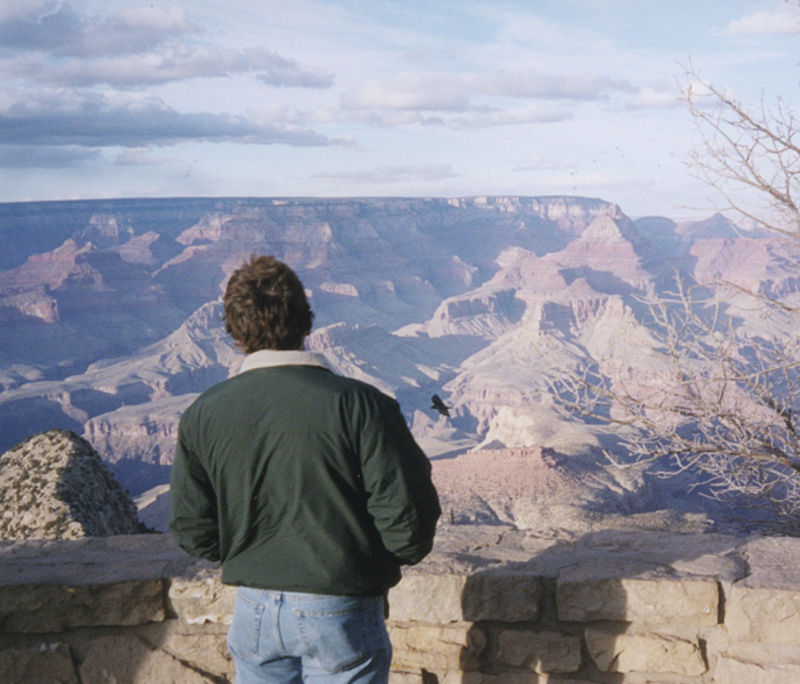 The first time I saw the Grand Canyon, my friend continued to interrupt my enjoyment of it by asking me to stop looking at it, and instead to look at photos of it. This seems to be such typical behavior that I've every once in a while decided that I should be more polite, but then I think, "naah" and go right back to my rude behavior, which is wandering off. I don't go into gift shops when I arrive at an historic destination, I don't look at brochures. If someone wants me to look at the photos that they have just taken on their phone, I try to politely refuse. When I'm out in the real world, away from just looking at photos of things in books and on the internet, I want to look at the real world. Now don't get me wrong, there are times when the best I can do is a book, or a museum. I've been rahabbing an injured ankle for the past decade, and it looks like I'll being that for the rest of my life. Some days are better, and worse, than others. On bad days I spend a lot of time looking at photos, reading, that sort of thing, staying off the ankle. When I feel better, I want to get out there. I want to see the mountains, I want to breathe the air. When I get home, after taking photos during an adventure, I get myself off of the sore ankle, and while the tendons and ligaments recover, I do all of the stuff that I avoid when I'm out there - I look at the photos, I do more research, I visit websites, I communicate with experts. I love to go adventuring with friends that I call "my diplomats". They're the ones who are always happy to talk, or listen, to the tour guides. They go to the gift shops, and carry around brochures. They apologize for me when I wander off to go looking at stuff. I've been known to do a thorough exploration of an historic area in the few minutes that one of my more diplomatic friends has been standing there talking to someone. It seems a shame when we get back in the car that I've seen so much, and they haven't, but most don't seem to mind. By the way, I don't trespass. I ask permission. If someone says, "Can I help you sir?" that's usually a polite way of someone saying that I shouldn't be walking up to a building. Of course most people think that I'm just looking for the bathroom, or want to go into the gift shop, or would like a brochure, so if that's all it is, I smile and thank them and go about my way. Now don't get me wrong, I'm not anti-social. I love talking about Phoenix history, and have been known to go on, and on, and on. But you need to let me sit down, possibly with a beer, or maybe an ice cream cone. When I'm on my feet, the clock is ticking for me, and I need to use my time as efficiently as possible, looking at stuff. If you've like to try to do what I'm doing, I encourage you. Be prepared for some strange looks from people if you glance back while they're still talking, probably asking you if you want to go to the gift shop, or look at a brochure, or whatever. And if you're not exactly sure what to do, walk with me, stand next to me, and look in the direction that I'm looking. It will be amazing, and you'll see things that most people never have the time to see. Image at the top of this post: At the Grand Canyon, with the typical view of me that most people see, my back. I'm looking at stuff.